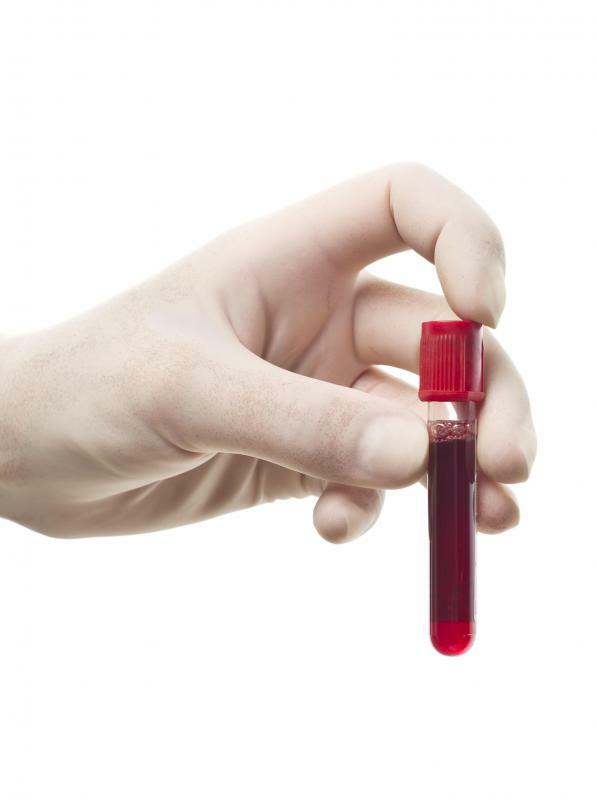 Blood samples help to diagnose myelodysplastic anemia. 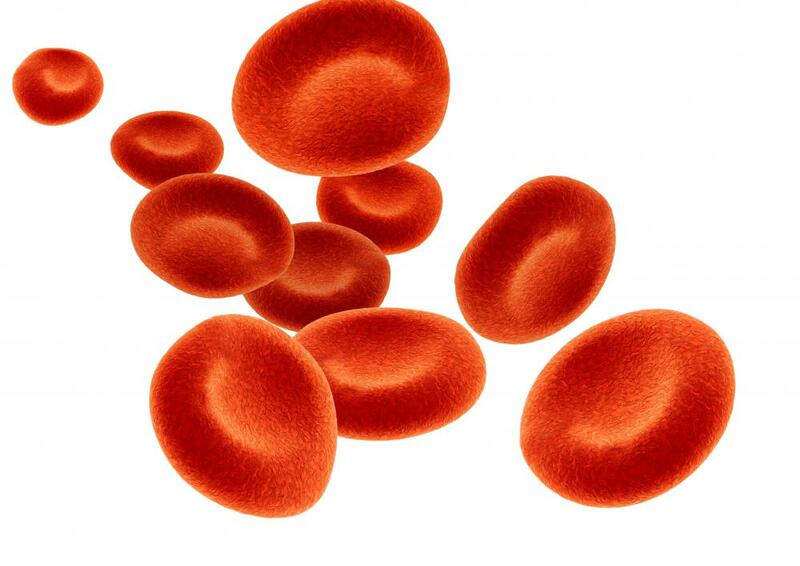 Red blood cells are produced in bone marrow. Myelodysplastic anemia is the most prominent feature of a larger bone marrow disorder called myelodysplastic syndrome. The disorder affects how bone marrow stem cells produce and release new blood cells. Anemia is most closely related to abnormal platelet production. Immature platelets fail to fully develop before they make their way into the bloodstream, rendering them incapable of clotting. Patients who have myelodysplastic anemia typically need to take medications and hormones to prevent excessive bleeding and combat symptoms of fatigue and shortness of breath. Bone marrow transplants are needed in severe cases to avoid potentially fatal complications. Bone marrow produces stem cells that promote the development of platelets and red and white blood cells. In the case of myelodysplastic syndrome, blood cells either die before reaching maturity or function improperly when they reach the bloodstream. As a result, there is not enough room for healthy blood cells to thrive. Many cases of myelodysplastic anemia have no clear causes, but doctors believe that chemotherapy, radiation, environmental toxins, and genetic factors can all contribute to defects in bone marrow functioning. The average age of the onset of symptoms is 70, though incidences have been recorded in patients of all ages. The most common symptoms of myelodysplastic anemia are pale skin, easy bruising, and excessive bleeding from seemingly minor wounds. Women of reproductive age may have especially long or heavy bleeding during menstrual periods. Due to inadequate blood supply, people often become easily fatigued and have chronic breathing difficulties. Additional health problems such as frequent infections and chronic aches can arise due to low white blood cell counts. Finally, an untreated case of myelodysplastic anemia raises the likelihood of developing leukemia. People who show signs of anemia and are chronically ill should be evaluated by their doctors. A physician can perform a physical exam, ask about symptoms, and collect a blood sample for lab testing. A complete blood count is taken and analyzed to check for unusually low numbers of healthy platelets. If blood tests are suspicious, a bone marrow biopsy may be needed to confirm myelodysplastic anemia. Since there is no reliable cure for myelodysplastic anemia, treatment is usually targeted at managing symptoms. Synthetic growth factor hormones can be given to increase the overall number of blood cells produced inside bones. Additional medications are also administered to combat infection, thicken the blood, and stabilize heart rate. Patients who have dangerously low platelet counts despite taking medications may be scheduled for bone marrow transplants to replace dysfunctional stem cells. The outlook for patients following surgery varies, but many people do see vast improvements in their symptoms and quality of life. What Is the Connection between Chemotherapy and Anemia? My husband was hospitalized with prostate problems. The hospital decided to do an invasive traditional prostate operation. He had myelodysplasia and yet they went ahead with this invasive surgery. He hemorrhaged during the operation and yet they didn't give him a blood transfusion during the op as a precaution. After the op he looked like death and yet they didn't give him blood until two days later.They left the bladder open and didn't seal the wound which meant the urine entered the wound and septecemia set in. Then he developed acute aneamia and died a month later. What kind of surgeon is this?